There’s no easy fix to the future of our mobility needs. Electric mobility is the hot topic of the moment, and starting to attract thought leaders from other industries such as Richard Branson and James Dyson. But electrification alone is not ready to solve our future mobility needs. If we’re to create the best legacy for future generations, we should be embracing all the technology we have available to us currently and using it in a wise and responsible way to develop the best solution. Rather than targeting one specific technology at the expense of others, we need to find a way to bring together all technologies to meet our end goal. Electrification in its current form has its drawbacks: though improvements in the range of the electric vehicle battery, they continue to have a significant increase on the weight of the car. Heavier cars require more power to get going, negatively impacting the range capability of the battery. There’s the environmental impact to consider too: the carbon footprint of an electric vehicle is often larger than its diesel- or petrol-powered counterpart. Materials for the batteries have to been mined and transported to factories for production, which are more than likely to be powered by energy derived from fossil fuels. Even if renewable energy is at play, it is not without impact: wind farms, for example, bring disruption to local wildlife and communities. Where an internal combustion engine can be recycled and repurposed for life beyond its original lifespan, the same is not true of the EV battery. 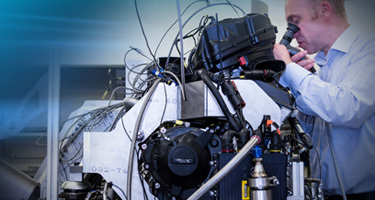 All the while recent developments in the evolution of the internal combustion engine are being overlooked, despite there being gains in improving their efficiency while minimising the impact on the environment. A recent investigation by the Society of Motor Manufacturers and Traders found that vehicle-generated particulate levels in London have fallen, and have been overtaken particulates from by brakes and tyres. EVs are particularly popular in inner cities, but as their presence increases in volume so does the strain on their brakes and tyres, causing a further rise in the particulates that they generate. High levels of particulates in the air can cause some health issues, and in built-up areas with high amounts of traffic, this is particularly exacerbated. This is why it is important for the industry to minimise the limitations of the electrified powertrain by marrying it together with developments in existing technology that create further efficiency improvements in the internal combustion engine. 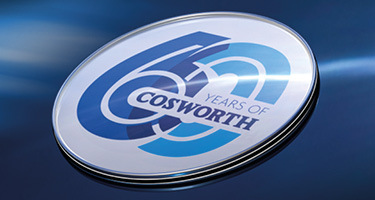 Cosworth is involved in a number of projects in this area, working on solutions that combine the benefits of different technologies while minimising their impact on health and the environment. Such projects include a petrol engine with the efficiency to rival a diesel combustion engine. Fully variable valvetrain technologies can give precise control of exhaust gas recirculation to control emissions in a more precise way that current external systems.